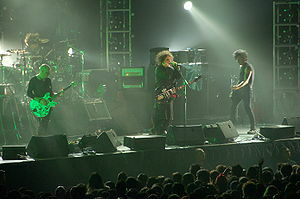 Going back in time to my all time fave band, The Cure, for a little easy writing music this Monday. Enjoy. This entry was posted on June 18, 2012 by Laney. It was filed under Music, Writer, Writing and was tagged with Inspiration, laney mcmann, music, Music Monday, The Cure, ya fantasy author, YA paranormal romance author, YouTube.